Hawaii Native Status: Introduced. 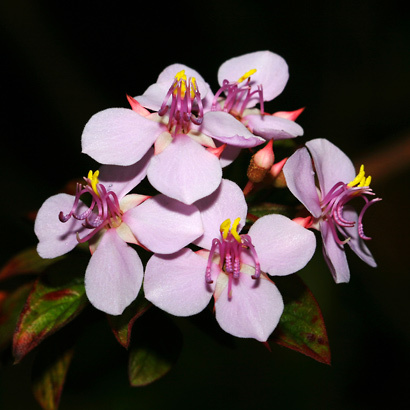 This naturalized ornamental garden plant is native to southern Mexico and Guatemala. 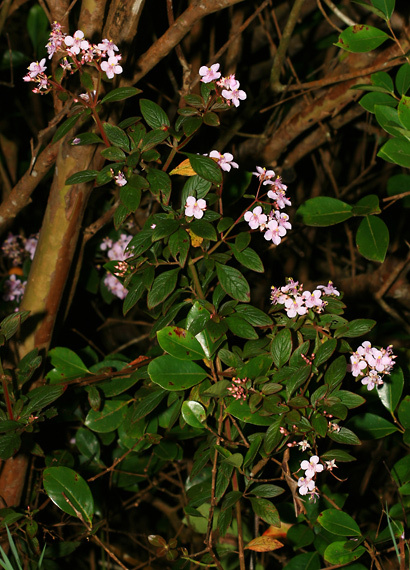 Description: The flowers are clustered at the branch tips. 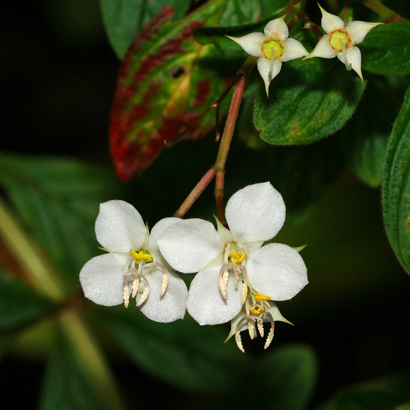 The individual flowers are 1/2 inch (1.3 cm) across and have 4 rounded, white or pink petals, 4 similarly colored, point-tipped sepals, and the strange, appendaged anthers typical of plants in this family. 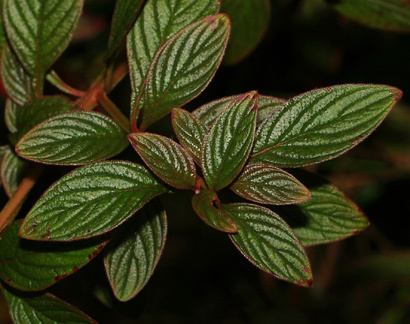 The leaves are dark green, shiny, pinnately nerved with depressed veins, lightly to moderately hairy, and may have reddish margins. The stems are square. 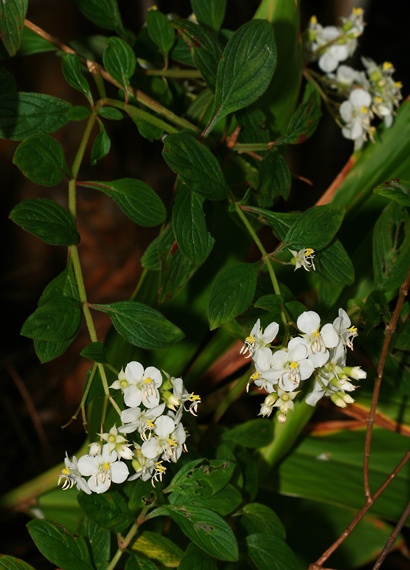 This weedy plant grows in moist, often partly shady spots in disturbed areas and at forest edges.